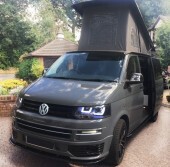 The Camperbug Warwickshire listings page shows the cool campervans that are made available for hire from owners all over the county. Whether you’re visiting, living or just passing through the county, then get in touch with our vw van oners who rent campers from bases from many locations across Warwickshire including Nuneaton, Rugby, Solihull and Stratford-upon-Avon. I am Minty2, hire me today! Minty is a right-hand drive, Brazilian Bay Volkswagen built in the classic T2 style. 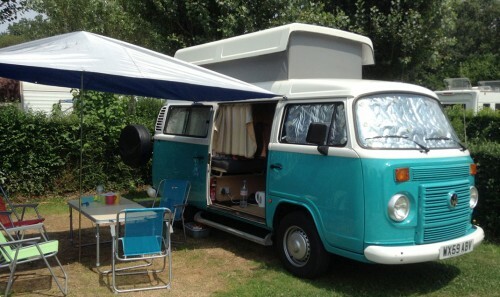 Imported from Brazil and registered in the UK in 2009, she has been fully converted by Danbury into a well-equipped classic VW campervan with a pop top roof and rock'n roll bed/settee. Belle is a Red 1971 Volkswagen Early Bay Window camper. VW California SE/Ocean. One of the last T5s - Comes with all the standard SE/Ocean equipment.